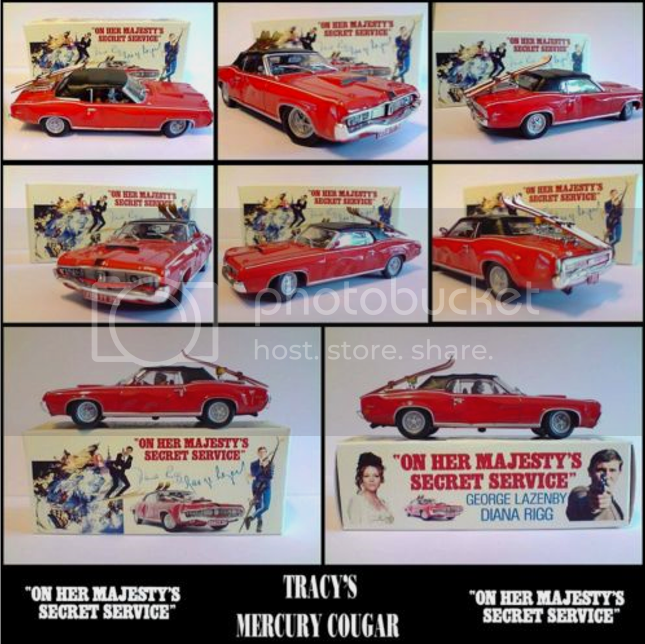 Just came across this new 1/43 resin model Of Steed's 'Big Cat' Jaguar on E-Bay, although the model seems to originate from Australia. Although at £61.00 including postage it does seem pricey. Wasn't that out around the time they had a model of Purdy's yellow TR7? I had Purdy's car at one time, around 1977 I think. 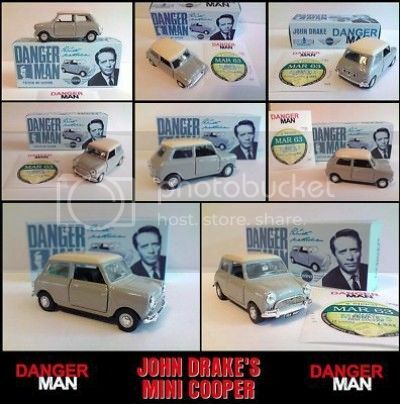 The one I think you're thinking of is the Dinky version, which was never officially released. 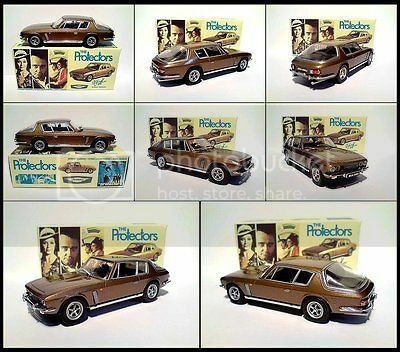 It was going to be available both as part of a set with Purdey's Triumph TR7 and individually. 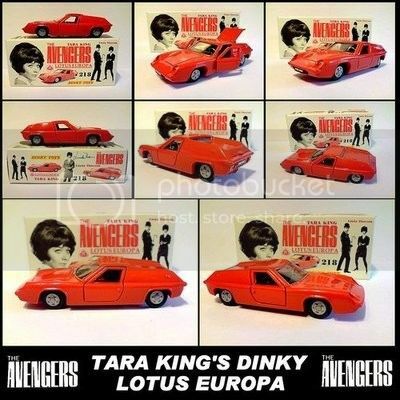 Due to financial problems Dinky never released it. 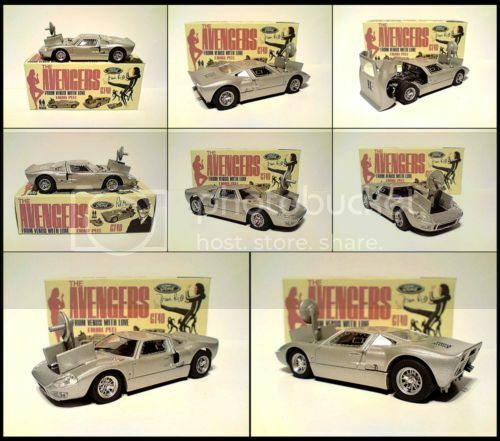 However, a number of these mainly in a metalic green colour did find their way outside the factory and I had a chance to look at one of these examples at The Avengers at 50 event, where John Buss had a huge amount of Avengers collectables on display. This new resin/plastic example is made by an Australian company and it is the correct shade of olive green and it even features the yellow/gold pin strip down the side. I believe this example is part of a limited edition and so if any of you out there like it, then I suggest you add it to your collection quicky before they are all sold out. 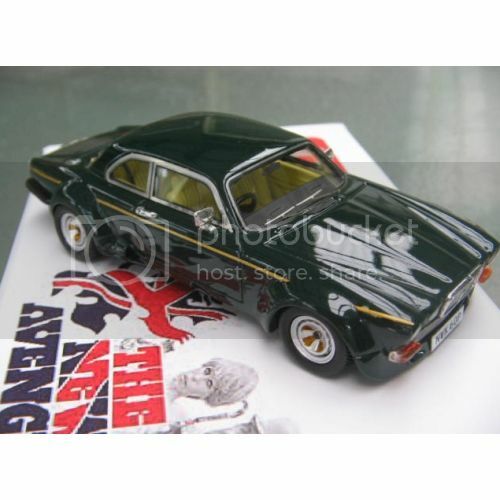 The new Jaguar model is 1/43 scale, so for display purposes it matches perfectly with the The Avengers Steed Bentley and the two New Avengers vehicles, Steed’s Range Rover and Gambit’s Jaguar XJS, issued by Corgi some years ago..
Having had a look across the net, I came across the following model vehicles that have both been resprayed and have had transfer number plates added making them Avengers related. The guy who does these has been offering them and various vehicles associated with a great many other TV series and feature films for at least 4 years. He auctions them off on ebay, where they can fetch anything between £40 and £60, but occasionally go for a lot more, such as the A Surfeit of H2O Mini Moke which went up to £145. 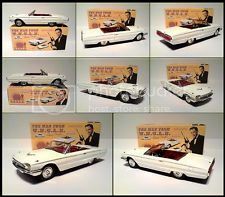 The boxes appear to be created with a computer programme and then printed out on a cardboard sheet, which is then folded and glued to give the impression of a piece of sixties merchandise. 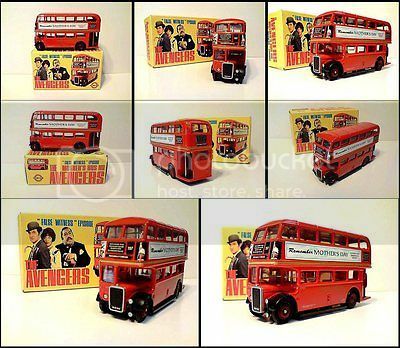 I like the Ford GT40 complete with laser gun as seen in From Venus with Love and the AEC double-decker London Transport bus from Stay Tuned. 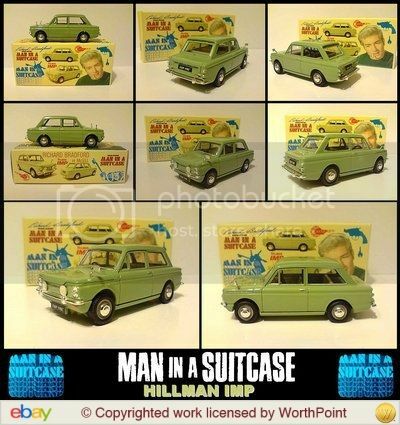 Not sure if it's the same guy but someone has previously done a range of Hillman Imps as driven by McGill in Man In a Suitcase which went for similar amounts, complete with figurine and suitcase. Together with various ITC series and The Man from U.N.C.L.E. That Hillman Imp is a thing of beauty. What a great collection mariocki. I have owned Hillman Imps in three of those four colours but never had a blue one. (Sometimes I wish I still had one now). The various Man in a Suitcase Hillman Imps are impressive. I take it that these Man in a Suitcase Imps are yours? If so, did you win the auctions for them or contact the guy who does them and request an example of each Imp that McGill used during the TV series? No, they belong to someone I know - all won on eBay under auction. If the listing mentions 'Code 3' then it means it's unofficial and not something released by the original manufacturer even though it may have Corgi on the box. Thinking about these Code 3 models, I don’t think that are too difficult to convert from old Corgi and Dinky vehicles. I think they are held together with a couple of pop rivets underneath and so if you drill out the heads, then presumably the vehicle will come apart into various components. Take the bodyshell and use paint stripper to take it back to bare metal and then use a cleaner, followed by a coat or two of white or grey primer from an aerosol can. Once the bodyshell has dried, then apply a top coat to match the required colour, again from an aerosol. On some models the grill and headlights come as a chromed plastic piece, but for others you will have to carefully paint them in silver with a small brush. If the plastic interior is the wrong colour then this can also sprayed. When everything has dried thoroughly, reassemble the model and hold it together with two pop rivets or two flat-headed self tapping screws. 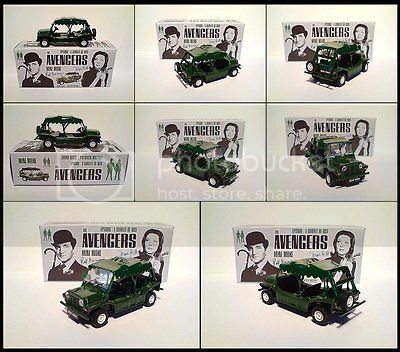 In order to create the number plates and sixties style box, an Apple Mackintosh (or Mac) would appear to be the best option, as you can drop in images of the character and the vehicle, plus the TV series logo to decorate the box.. The guy who does these has a business selling diecast models and so I’m sure he has contacts to obtain such old vehicles. However, I’m also sure that such items are readily available and can be found at car boot sales and second-hand markets across the UK. Did McGill drive all those colours of Imp in the series? I can remember about two. Must watch again. Yes, I believe McGill did drive all these examples. Hillman Rally Imp, in lime green, registration number FHP 198C, used in the episodes The Bridge, The Sitting Pigeon, Essay in Evil, Why They Killed Nolan, Property of a Gentleman and Which Way Did He Go McGill? Singer Chamois (Upmarket Imp), in white, registration number JML 272B, used in the episode Variation on a Million Bucks. Hillman Imp, in red, registration number FPX 672C, used in the episode Jigsaw Man. Hillman Imp, in grey, registration number 109 GXH, used in the pilot episode, Man From the Dead. The figure is interesting. 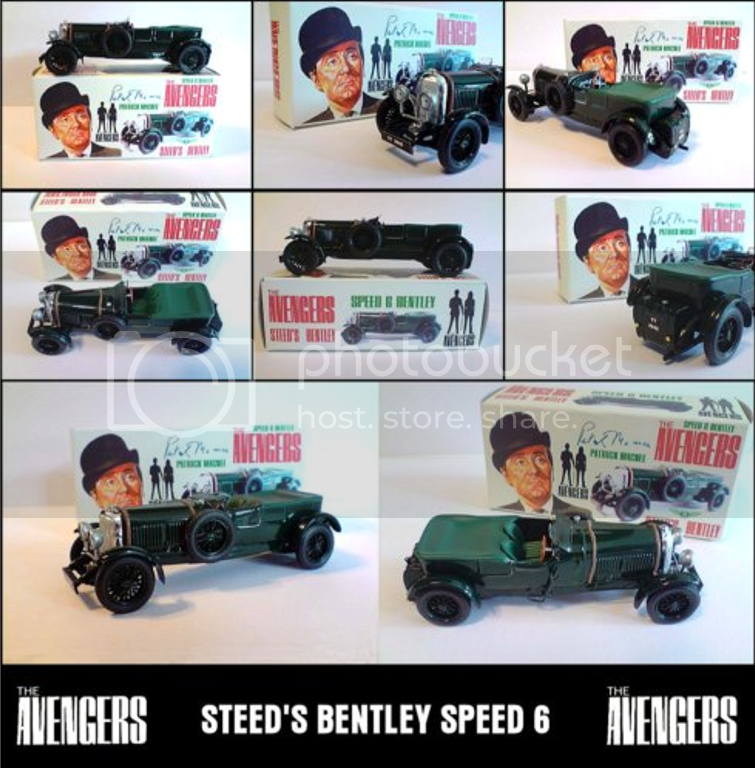 You can buy various figures in the 1/64 scale to match the vehicles and using a modelling knife this could be altered to give the appearance of someone (in this case McGill) running. The actual suitcase could be a piece of luggage created for use on the platform of a model railway and simply glued to McGill’s hand. I have quite a few of these superbly detailed models. 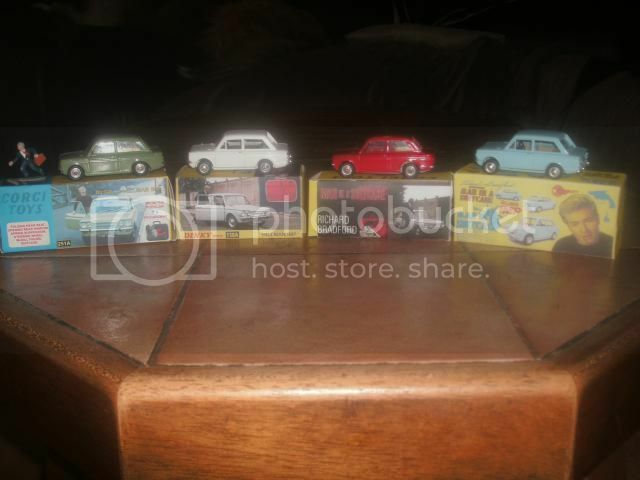 Jimmy is a wonderful seller on eBay and his meticulous models are mini works of art. He even recreated the static red Lotus from Dead Man's Treasure. I missed that one, but managed to get the white and powder blue Lotus Elans complete with tiny number plates. As Mike says even the boxes are works of art. His record prices are, I think, approx. £250-£300, but these are rare. 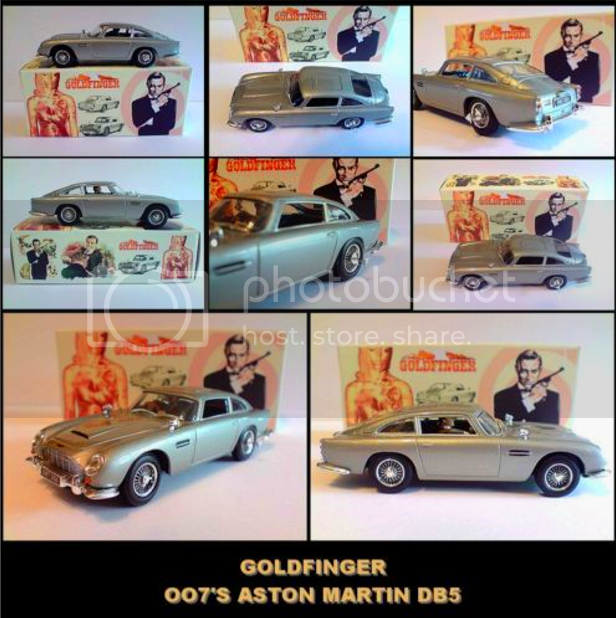 He has carefully modeled Columbo's battered Peugeot, Tracy's/Diana Rigg's red Ford Cougar with skis and figures of Tracy & Bond inside from On Her Majesty's Secret Service and the classic Aston Martin DB5 from Goldfinger. 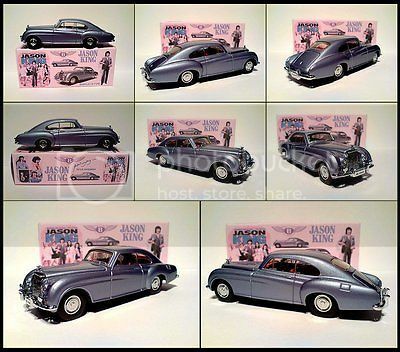 Steed's Bentley is mega, is that the one that sold for £300 or was one of the Bond vehicles? Very impressive. Also he does not restict himself to the sixties and seventies, as he I've also seen that he has done cars from The Equalizer and Miami Vice. The level of deatailing is just fantasic. 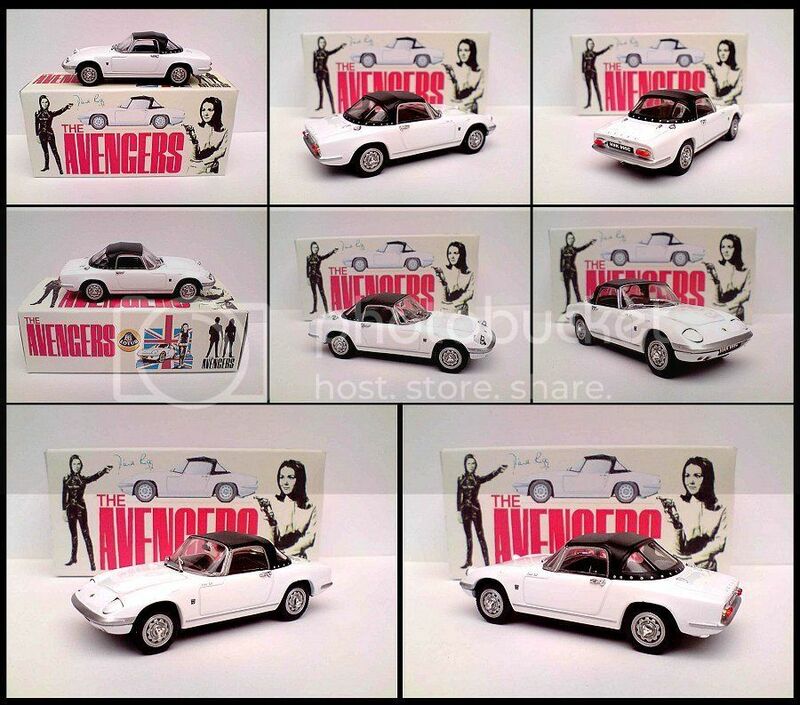 Take Emma's white Lotus Elan (above), as an example. The bumpers appear to be painted silver, plus the windscreen wipers and the beading around the windscreen. The door handles and studs holding the hood in place look chromed or silver. Plus the there is more detailing with the badge on the front and those on the side of each front wing and the coloured rear lights. And finally the boxes which are a work of art. 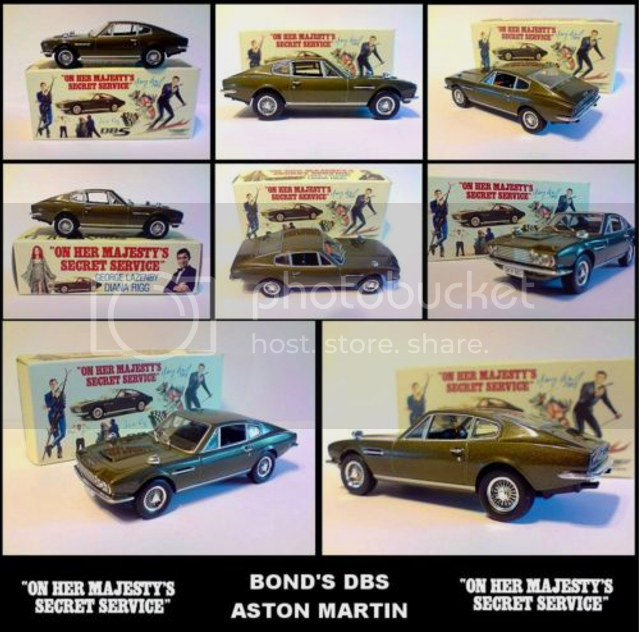 I think the £250-£300 models could have been the Bond OHMSS cars and Columbo's Peugeot. 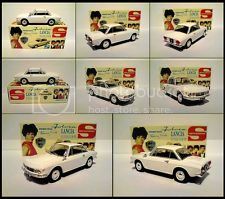 He only made a very few of the Ford Cougar and the Aston Martin DBS.